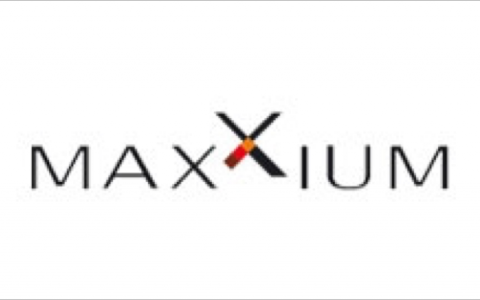 Maxxium is a joint venture between four 25% equal shareholders, formed in 1999 to manage and distribute premium spirit brands such as Jim Beam and Remy Cointreau. When TAP started working with the Maxxium, they had already spent 3 years building a capable and well-structured leadership team and had implemented multiple systems and initiatives to set the business up for success. While this had resulted in some early growth, the passion for newness and doing “more” was creating increasing complexity. Managing the often divergent needs and interests of the shareholders was becoming challenging and the inconsistency between global and local strategy was increasingly apparent. It had become difficult to identify a common focus and silos had also begun to form. In addition, perceived competition for resources was creating tension, resulting in longer hours and the potential for burnout. The Executive Team realised that in order to achieve sustainable growth, Maxxium would need to adopt a more structured and disciplined approach. The first thing we did together was to define a view of the future, shared by all members of the Executive Team, which culminated in a shared vision, purpose and value proposition. The process also produced a set of shared behavioural standards, and an ideal ‘culture’ for the entire business to aspire to. Next, we set about understanding the current state, which included a thorough review of all systems and structures to understand those that were enabling, and those that were inhibiting the aspirations. We also measured the culture and found a real mix of behavioural expectations – some helpful and some not. With the gap between aspiration and actual state now clear, our first priority was to create a line of sight to the aspirations for each and every team member in the organisation. At the same time, we initiated a strong focus on leadership; through measurement, regular team and 1-1 coaching sessions, we focused on shifting the impact of the Executive Team toward increasing levels of effectiveness, and ensuring they were positive role models for the articulated standards of behaviour. Finally, we focused our collective energy on the execution of a small number of strategic initiatives, carefully chosen for their cross-company impact. We also built a robust architecture of meetings to support this work and ensure initiatives were seen through to completion. Over the period of our engagement, Maxxium’s focus on improving alignment and leadership contributed to double digit growth, as well as increased profit, staff retention and staff satisfaction. The re-measure of leadership effectiveness demonstrated significant positive shifts across the board for the Executive Team, as did a remeasure of the organisation’s culture. In fact, these shifts were so significant that Maxxium was presented with a ‘Leadership and Culture Transformation award’ by Human Synergistics International. Maxxium’s vision was to grow the business faster than the market every year and they successfully achieved this for 3 consecutive years, before entering into a new arrangement with CCA to hand over their customer relations and sales to maximise scale and growth. This arrangement allowed Maxxium the freedom to do what they did best – act as brand representatives for their shareholders, developing local brand strategies and new product opportunities, providing industry leadership and superior financial returns to shareholders. “Recent indicators have shown record sales levels and double digit sales growth YTD, with strong performance in three of our core brands. TAP have enabled us to manage conflicting stakeholder expectations, and understand accelerants and inhibitors towards future growth. From the outset, TAP delivered outcomes in a professional and challenging manner. In addition, they went beyond the call of duty in challenging circumstances to coach us through a proactive leadership response to a proposed merger. TAP demonstrated a creative approach to our work together that was inclusive, highly involving, and encouraged us to think laterally. The team were professional and wholly committed to our organisation.